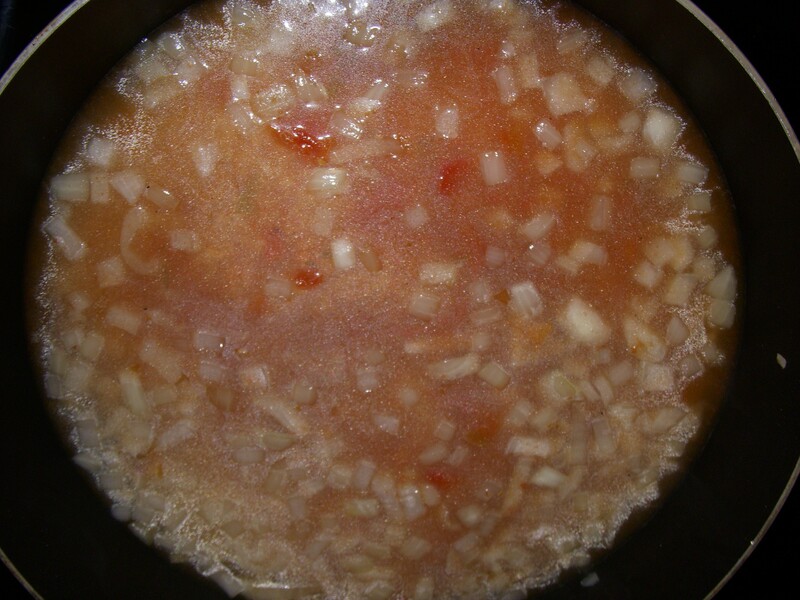 Heat the oil in a large frying pan over medium heat. 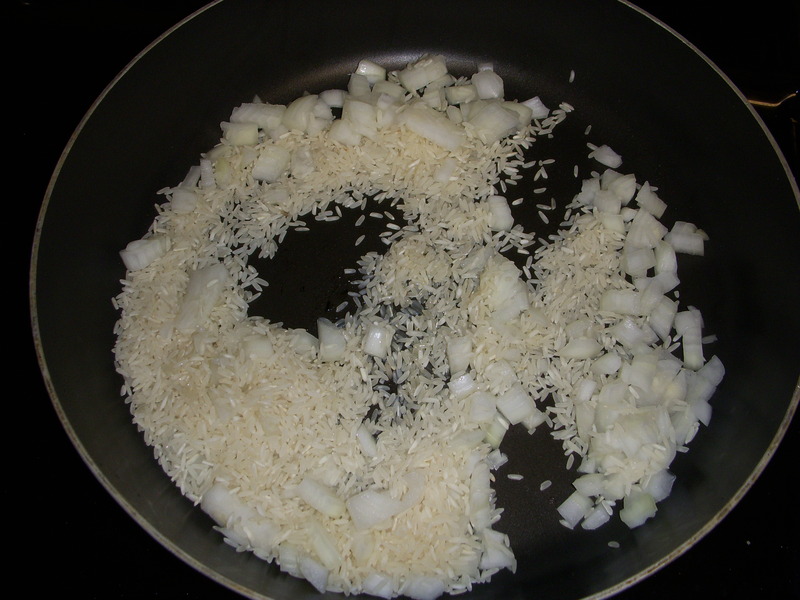 Add the onion and rice and saute until the onion is translucent and the rice is slightly toasted, 2-3 min. 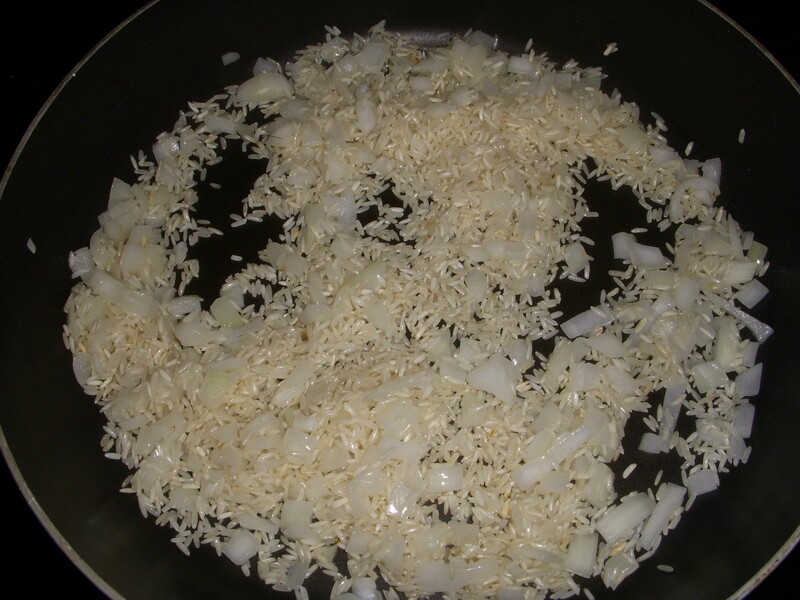 The rice is nicely toasted and the onions softened. 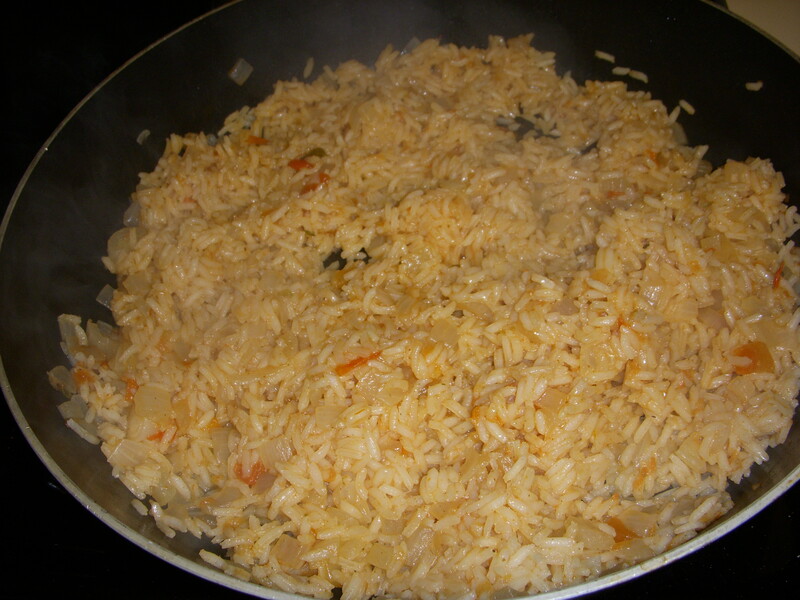 Add remaining ingredients, cover and cook on low until the rice is done, approximately 20 minutes. Dad made this last night along with some enchiladas! Wow! That is awesome timing! I really wanted to include a picture of Dad making enchiladas at Grandma’s house but I think I left all of the pictures from that trip in Houston after Xmas. 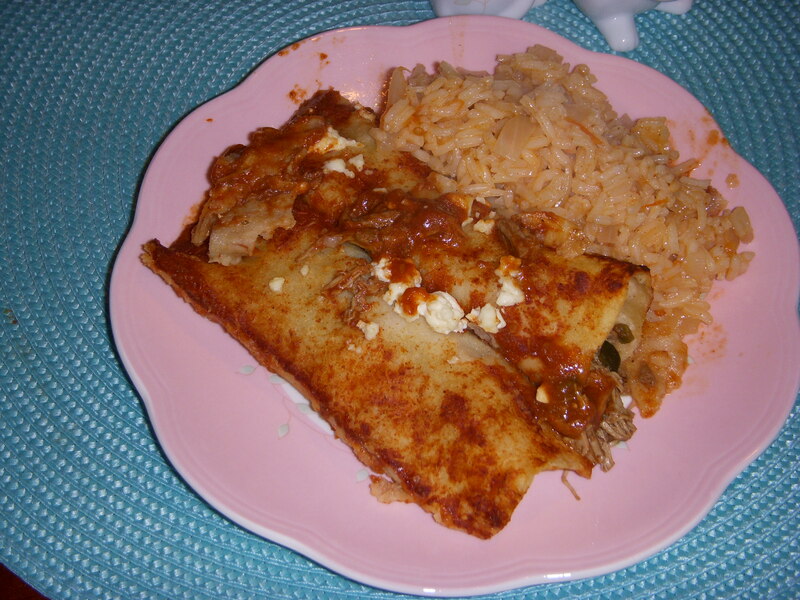 I made the enchiladas for Josh last week. I just make them the same way but pack them in foil containers. That way he can just put them directly into the oven. He missed out on the rice though.